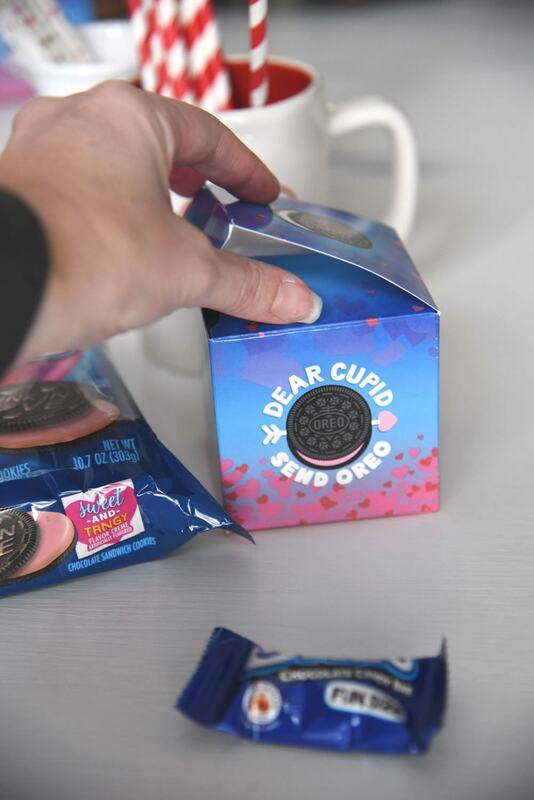 If your looking for a fun new idea to give your loved one for Valentine’s Day, OREO has a new Valentine’s Day Kit that is easy, delicious and super cute! Valentine’s Day is right around the corner again. It sneaks up on me every year. I’m still getting over the whirlwind of the Holidays from last year, and then I turn around and Valentine’s Day is coming up fast. There are always lots of fun stuff we love to do for Valentine’s Day. We love to decorate our house with lots of red and pink. And I’ve got some super cute decorations that I put up (my husband quietly tolerates this but my daughter fully endorses it). One tradition that has carried over from when I was a child is the celebration of Valentine’s Day at school. From when I was a kid to now with my own children, it seems like there is always some sort of Valentine’s Day exchange at school. So, every year, we head to the store to find something for the kids to give out. This year, we have the opportunity to try something fun, new and different. 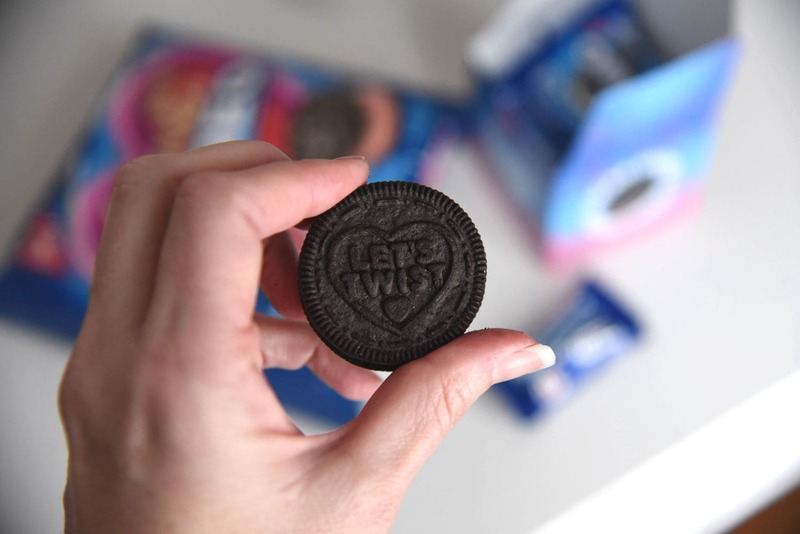 OREO has come out with a Valentine’s Day Kit that is perfect for exchanges at work, with friends, or just family fun. 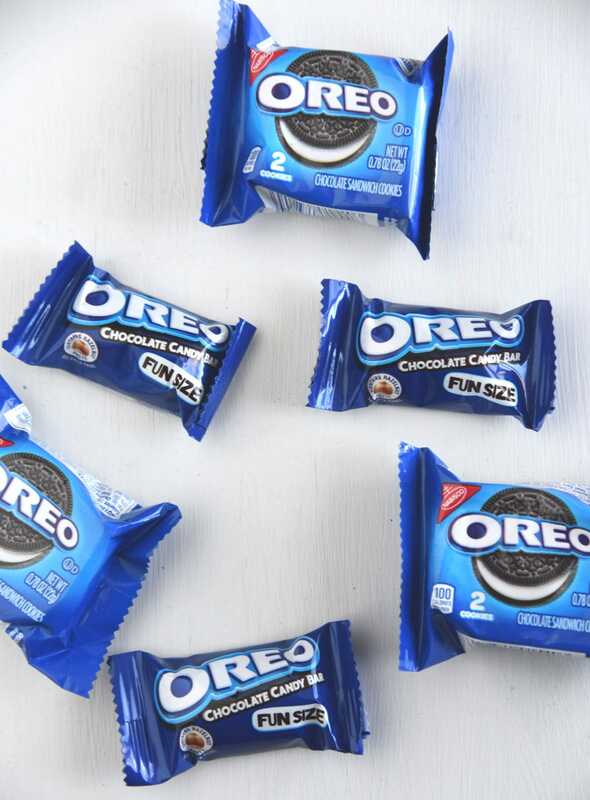 OREO is the number one cookie brand that all of us have fond memories of sharing quality time with friends and family. I think almost everyone has a nice memory of a time they were enjoying an OREO cookie. What other cookie has started a worldwide conversation on the best way to eat it?!?! This cookie is a part of who we are. 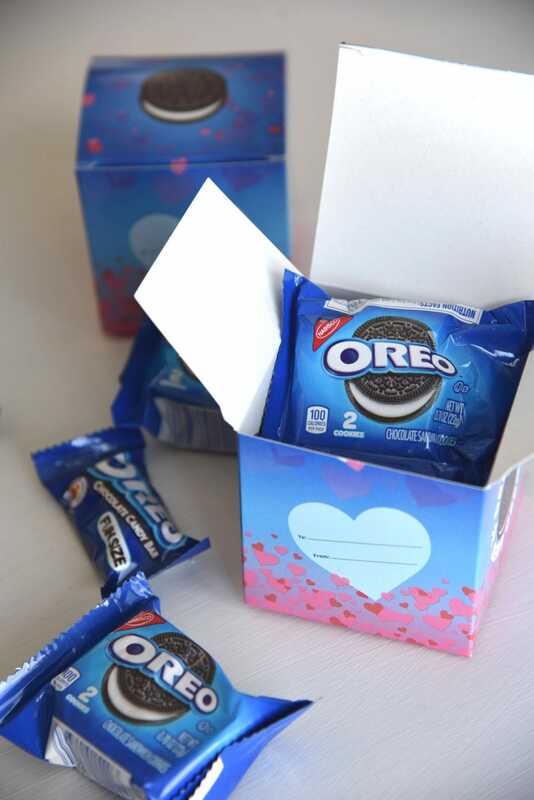 Now, Oreo has created a bundled Valentine’s Day Kit that is the perfect tool to share the fun of this special day with your friends and family. Each kit includes 1 package of OREO Love Cookies, 25 OREO Fun Size Chocolate Bars, 25 Oreo Sandwich Cookie Packs and 25 foldable Valentine card exchange boxes. It is super easy to make your Valentine’s gift exchange boxes. Just follow the instructions to fold the boxes, and put in one conveniently packaged Sandwich Cookie Pack and 1 Fun Size Chocolate Bars. We all know and love the traditional sandwich cookie, but I had never had their chocolate bars before. They are so delicious, a small chocolate covered bar with vanilla creme and OREO biscuit inside. 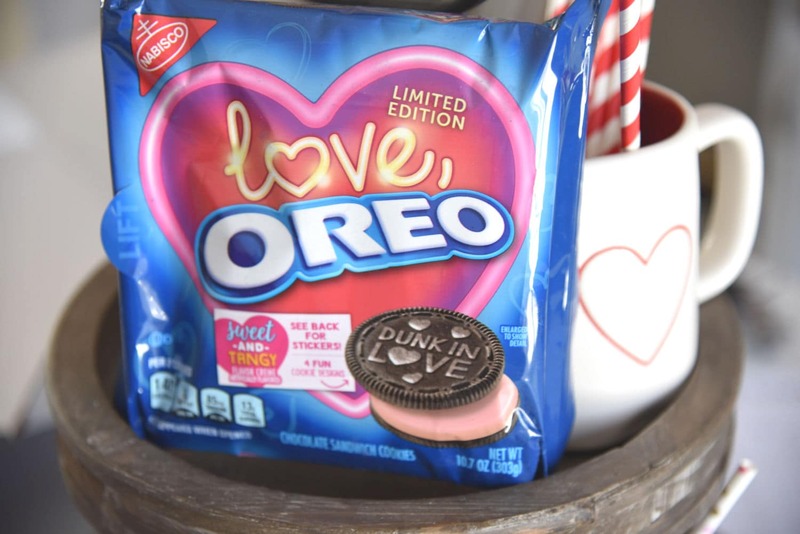 Also included in the kit was the limited edition OREO Love Cookies. 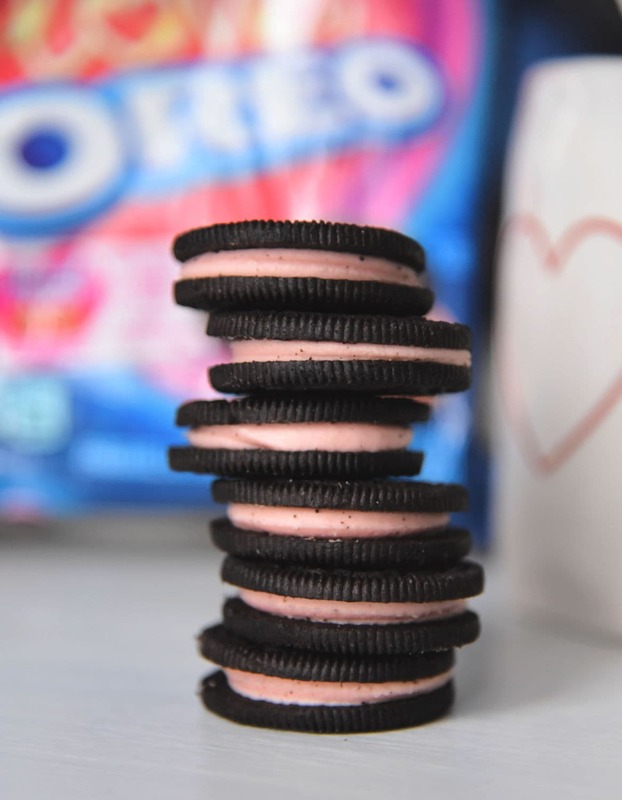 Celebrating the #1 selling Valentine’s Day candy with a sweet-tart flavored biscuit and pink creme filling. They also have seasonal cookie decorations for extra fun. You will also find peel-and-play stickers to add some personal touches to your favorite Valentine! If you’re looking for a fun and new way to celebrate Valentine’s Day, this is a great way to go. These are super easy to buy, just head over to Amazon and order them. Not only are the perfect for school exchanges, they would also be great to bring into the office for a holiday pitch-in. I also think that we will be leaving some of these in mailboxes around our neighborhood as a fun surprise this season. I hope you have a great Valentine’s Day with your friends, family and loved ones. Now, let’s just count the days until the warmer weather! « The Smart Way to Stockpile & High Value Tide Coupon!